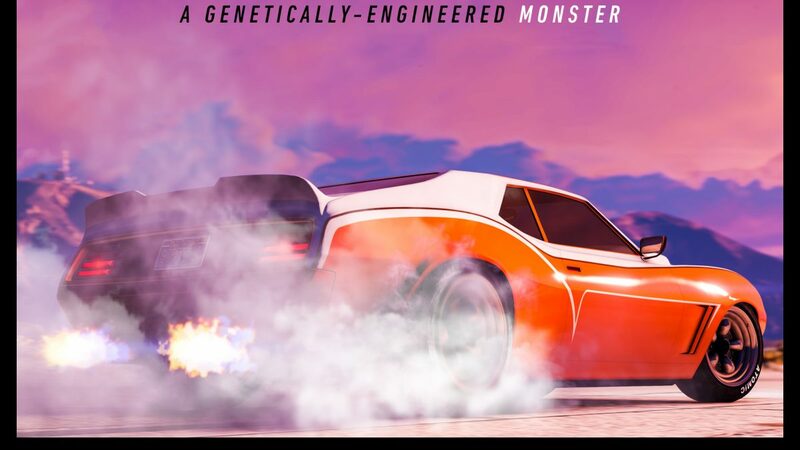 This week in Grand Theft Auto Online, enjoy new discounts, new ways to make some quick cash to spend on a brand new vehicle that has been released by Legendary Motorsport and much more. 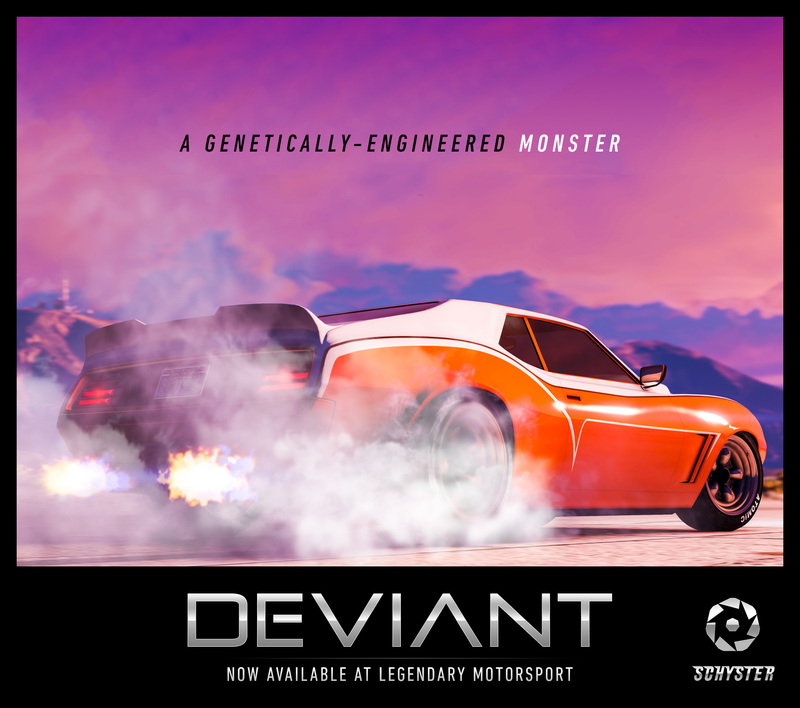 The Schyster Deviant is the all-new vehicle that’s now available to purchase from Legendary motorsport. Priced at a reasonable price of only $512,000. 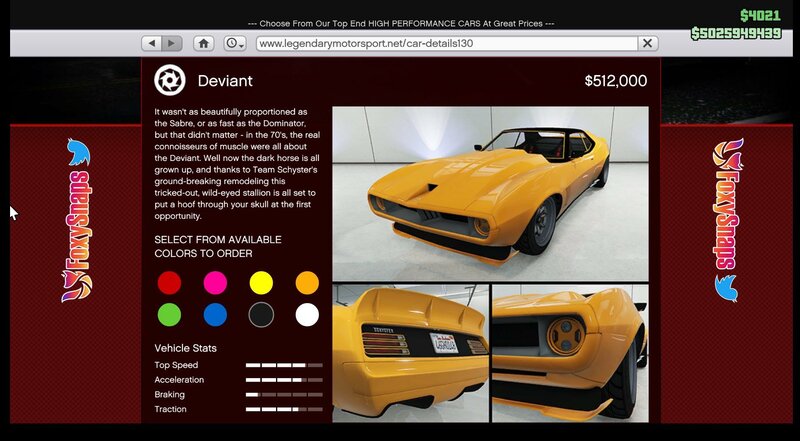 This Muscle car is based on on the 1972 AMC Javelin Defiant. 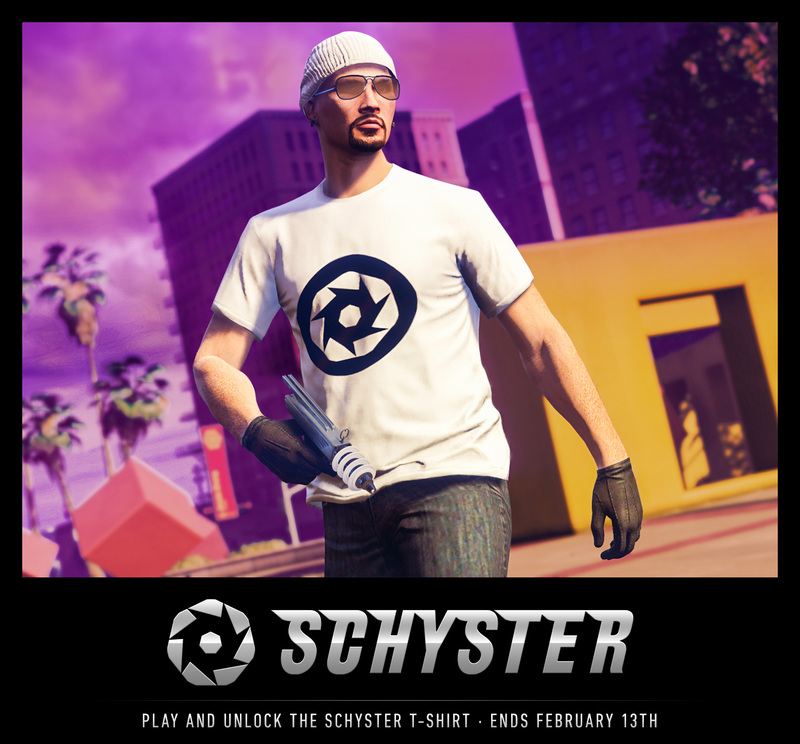 Log into Grand Theft Auto: Online anytime this week to be rewarded with the all-new Schyster T-Shirt for FREE. Also, unlock some old rare Tshirts from the vehicle’s manufacturers and After Hour DJs by delivering Business Battle crates, oh you could also be rewarded $500,000 at the same time. Continue to log into GTA Online every weekend throughout February to receive $250,000 which will be deposited into your account the weekend after. You can be rewarded a total of $1 Million by doing this.